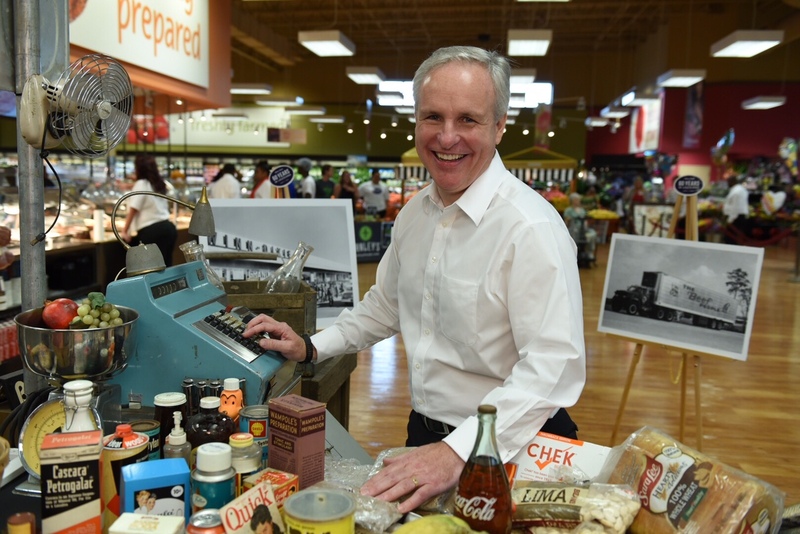 Earlier this week at its new Carrollton Avenue store in Mid-City New Orleans, Winn-Dixie celebrated its 60th anniversary of serving the Louisiana community. The event was studded with local producers including Bayou Rum, Hola Nola, and Hanley’s Dressings, and featured speakers from the company, as well as Chef Curtis Stone and representatives from Café Reconcile, a community of concerned people committed to addressing the system of generational poverty, violence, and neglect in the New Orleans area. To keep the mood lively, local jazz star Kermit Ruffins kept the beat, and over three dozen attendees helped assemble a celebratory 60-foot po’ boy (on Leidenheimer Baking Co. bread, of course). Afterward, we chatted with Southeastern Grocers Chief Operating Officer Anthony Hucker about the company’s commitment to Louisiana and their new partnership with Café Reconcile. 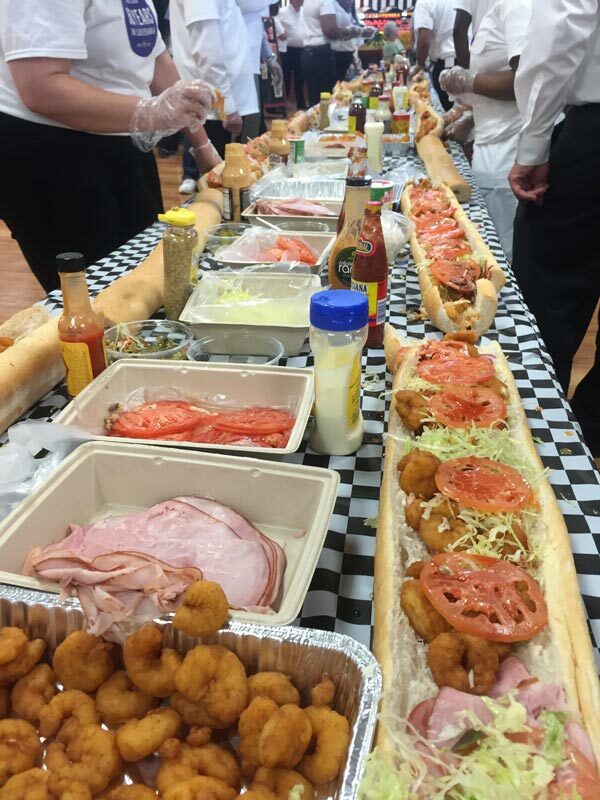 Event attendees assemble a 60-foot po’ boy. Sixty years is a long time. What’s been the key to Winn-Dixie’s success in Louisiana? If you go back 60 years, when we took over the H.G. Hill stores, just look at the outstanding relationship that’s been built with the community. As you know, this community has faced adverse times and has had to come together, and we like to think that [/fusion_builder_column][fusion_builder_column type=”1_1″ background_position=”left top” background_color=”” border_size=”” border_color=”” border_style=”solid” spacing=”yes” background_image=”” background_repeat=”no-repeat” padding=”” margin_top=”0px” margin_bottom=”0px” class=”” id=”” animation_type=”” animation_speed=”0.3″ animation_direction=”left” hide_on_mobile=”no” center_content=”no” min_height=”none”][we were there] when those events happened. If you take Hurricane Katrina for example, we came together as a community. And even though all the stores in New Orleans were impacted, within one month, Winn-Dixie had reopened our stores, so that’s definitely number one. For number two, it’s our associates. This morning we had 45 associates with more than 25 years of experience. That’s 1,125 years of experience! And as you probably know, we’re known as the beef people, and we’ve always been known as the beef people. One of our associates, Peter Moore, has been with us for 62 years, and coincidentally, he’s always worked in the meat department. There aren’t many retailers that can stand up and say that we’ve got that amount of loyalty from our community, and that amount of loyalty from our associates. And thirdly, and equally as important, is that our customers know that we have invested in the community. 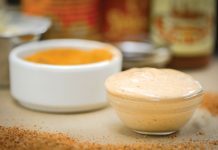 Whether it’s Hanley’s Dressings or Bayou Rum or Chisesi Brothers Ham, or Richard’s Sausages, or Community Coffee, these are all local suppliers, and we source locally whenever we can. I think we’ve got world-class food here in the region with world-class people, which is a world-class recipe for the next 60 years. Tell us a bit about the new program with Café Reconcile. We are really proud of what we announced in terms of the Young Talent program. As an overview, Café Reconcile is fueled by the vast hospitality and culinary industries in the state, and believes in developing at-risk youth. So the program trains students in all aspects of running and operating a restaurant. Students in the program run the Café Reconcile restaurant, which features soul food and local dishes at some of the lowest prices in the city. 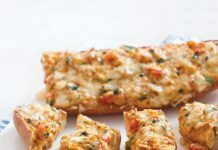 We felt it was a natural partnership, given that Winn-Dixie offers some of the lowest prices in New Orleans, and not only do we have the lowest prices but we also have the freshest ingredients. So the Young Talent Program allows us to provide internships where participants will have the opportunity to gain hands-on experience in our stores working side-by-side with department managers. The Café Reconcile participants will learn skills like product presentation, food safety standards, safe work practices, etcetera. And by shadowing store managers, they will learn how to run a business, how to motivate a team, and how to communicate in a dynamic and fast-paced work environment with a variety of audiences. What can you tell us about the future of Winn-Dixie in Louisiana? We’re really looking to renew our fleet in New Orleans. We’ve done it recently in Central, Chalmette, and now in here in Mid-City. We’ll continue to assess every opportunity store by store, be it by looking at our existing fleet and remodeling them or looking at other opportunities when they come forward. This is a world-class place to work. We’ve got a great legacy as the beef people and we intend to continue as the store of the community.